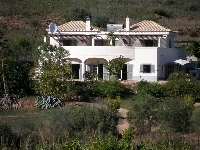 Click on an area above to begin your search Welcome to our selection of holiday homes in Portugal. 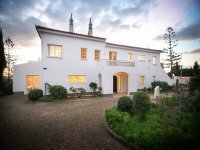 There is a wide variety of holiday homes available to rent in Portugal direct from their owners from luxury beach front villas on the Algarve to city centre apartments in Lisbon. Portugal has a very diverse geography from the grape growing region of the Douro valley with it's lush vegetation to the wide expanses of golden sand in the Algarve. Portugal is famous as a producer of port wine and a wine can only be called a port if it has been brewed in Porto in the North of Portugal. Portugal's coastline borders the Atlantic and the Island of Madeira is off the coast famed for it's climate tropical vegistation and warm waters brought about by the Gulf Stream passing the island. To the East of Portugal is Spain but due to the mainly mountainous border shared between the two countries the boundary has remained the same for over 900 years. One of the most popular regions for tourists is the Algarve with beautiful golden sand beaches and famed for the large number of quality golf courses in the region. English is widely spoken in the tourist areas especialy among the young and the local people are very helpful and accommodating. The capital Lisbon has become a popular destination both for day visits and to stay and there is plenty to do and see. 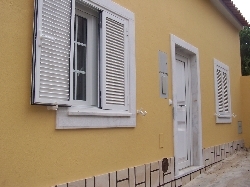 Welcome to our selection of self catering holiday accommodation in Portugal where you can hire holiday rentals direct from the owners.